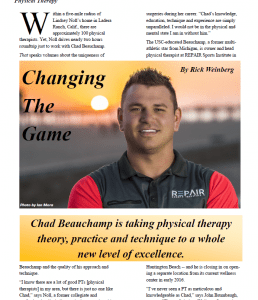 Chad Beauchamp of REPAIR Sports Institute in Huntington Beach, Calif. puts a new spin on physical therapy theory, practice and technique. 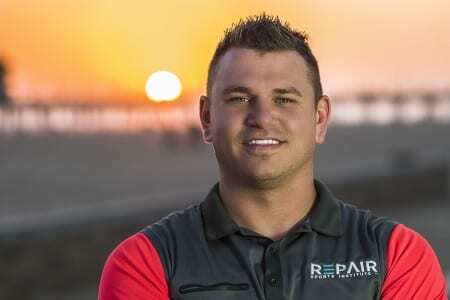 Chad Beauchamp, President of REPAIR Sports Institute in Huntington Beach, Calif. 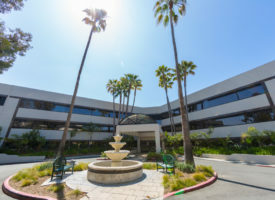 WITHIN A FIVE-MILE RADIUS OF LINDSEY NOLL’S HOME IN LADERA RANCH, CALIF., there are approximately 100 physical therapists. Yet, Noll drives nearly two hours roundtrip just to work with Chad Beauchamp. That speaks volumes about the uniqueness of Beauchamp and the quality of his approach and technique. 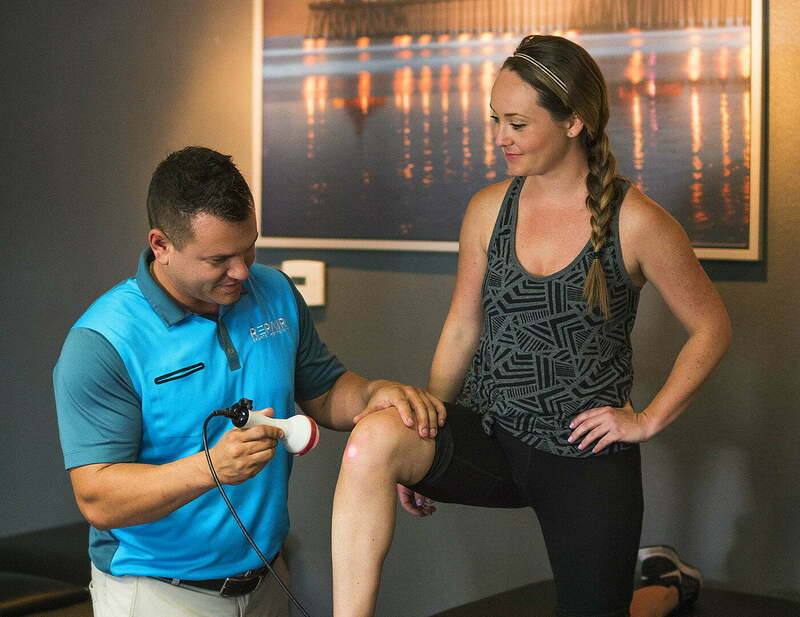 The USC-educated Beauchamp, a former multi-athletic star from Michigan, is Owner and Head Physical Therapist at REPAIR Sports Institute in Huntington Beach — and he is closing in on opening a separate location from its current wellness center in early 2016. By the time he reached the age of 18, Beauchamp had already decided on a career as a sports physical therapist. During high school and college, he had suffered through several injuries and surgeries, curtailing his dreams of a football career. Yet he wanted to remain on the field in some capacity because of his love for sports, competition and the intriguing science behind how the human body functions. 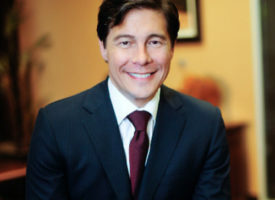 Having spent so much time in the training room, Beauchamp quickly became fascinated with physical therapy techniques to immediately detect how an injury occurred and how to help athletes – and non-athletes — recover quicker from physical ailments. All the effort and time Beauchamp spent on the field playing sports was now transferred to studying physical therapy. He wound up attending USC, the No. 1 ranked physical therapy school in the nation, and earned a Doctorates degree. 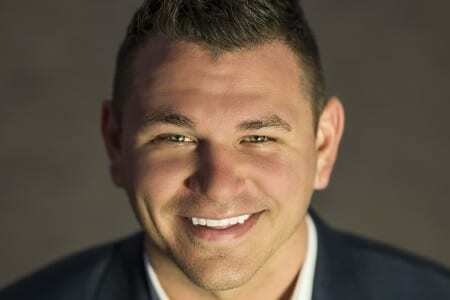 He did his sports residency at the University of Cincinnati and extensively studied sports research at Evidence in Motion, which provides cutting-edge programs, research, resources, and training to practicing physical therapists. Beauchamp did not stop there, however, illustrating his remarkable commitment and passion to his profession. “What makes me different from other PTs?” Beauchamp says, repeating his interviewer’s questions. 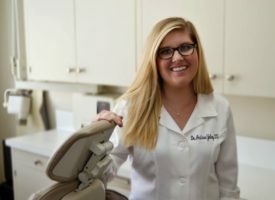 “It’s my underlying passion to help people on more than just their physical injury and to help advance the profession itself. At USC, the curriculum is heavy researched based. Graduates like Beauchamp are constantly learning the need for new techniques and practices, and how to treat a certain injury with new innovative technology to get athletes “back to sport as quickly as possible,” Beauchamp says. At many physical therapy clinics throughout the country, old school methods are repeatedly used, like the combination of ice and stimulation, even though it’s proven to have no benefits, according to Beauchamp. Beauchamp’s colleagues and patients are amazed at the amount of new research he is aware of and how he instantly implements it into his practice. “Chad is constantly learning – he’s always talking about the new techniques he learns about,” says Brooke Sweat, a U.S. Olympic Beach Volleyball player. 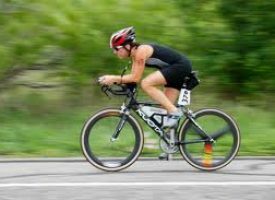 “Many PTs are stuck in old-school ways and aren’t learning or adopting new techniques based on research that help athletes recover quicker and become faster and stronger. Even if you’re not a high-powered athlete, Beauchamp’s work is equally effective. He created his own system of evaluating a patient. With his experienced, keen eye, he watches how a person walks and moves and can discover immediately why the patient is suffering from virtually any problem. For instance, when one patient was suffering from a knee injury, Beauchamp determined that the ailment was the result of a hip problem – just by the way they were walking. A simple wrist injury can be the result of poor posture so Beauchamp takes everything into consideration when analyzing a patient. He calls it the mind, body and spirit approach. Add to that the best professional environment as well. That’s what the new REPAIR Sports Institute will feature. The majority of clinics have florescent lights, which is proven to decrease an individual’s mood. Rest assured, REPAIR Sports Institute will have appropriate lighting, color themes and music to energize patients when necessary. I totally agree. This is a really good story and it clearly shows the passion Mr. Beauchamp has for his work. 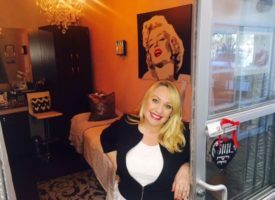 I was searching for a PT in the HB area and found this article. Very well done. Thank you for the help.